Working in the fields produces more than good crops. Born and raised on a grain and livestock farm in Spencer County, Ben Stallings, 53, was exposed to farm life early. 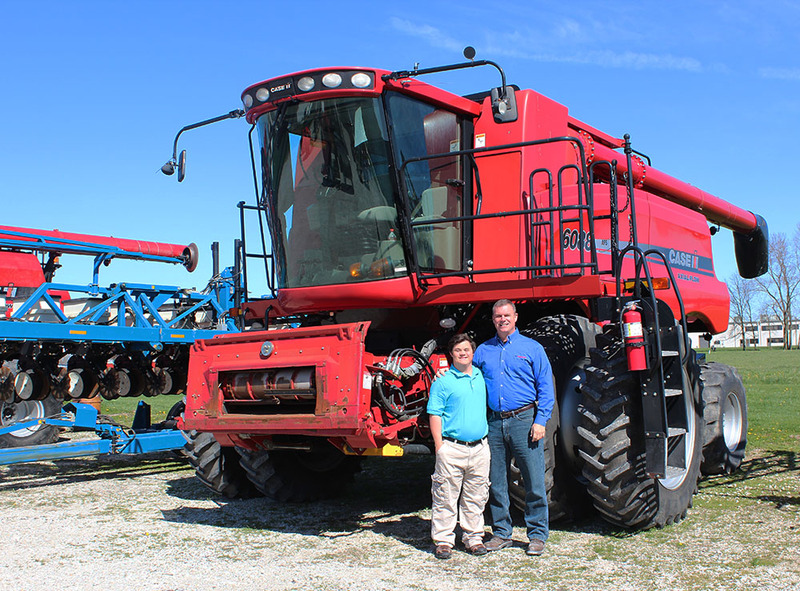 When he became a father, Stallings continued farming part-time in Bartholomew County and other places to teach his five children, who now range in age from 15 to 25, the meaning of a good day’s work. Stallings and his wife, MJ, are confident their children learned and will pass on the lessons of farming he shares here. A hard day’s work has value. From the time they can carry a five-gallon bucket of water to stacking feed sacks by themselves, kids and adults alike learn pride that comes from effort. Hard work and sweat are character builders, and the work ethic learned on the farm carries over to many aspects of life. Many of life’s treasures are free. From the sun breaking over the horizon, to soybeans popping through the ground, to the first tassels of corn, to a new calf being born, to a hardy summer thunderstorm, farming provides an innate satisfaction. One of my favorite things is shutting a combine down late at night and walking out of the field. Experiencing the crisp fall air, the stars overhead and the sounds and smells of nighttime is truly a blessing. Life is good. I learned long ago that there are a lot of people who know a lot more than I do. Consult the experts. Consult your neighbors. This is an ever-changing industry, and we are all in this together. With a little knowledge and a little luck, we will continue to feed our world. Farming is a vast unknown. Farmers anticipate the change of seasons. We rush the arrival of spring, cuss the hot, dry summer, long for harvest and welcome the calm of winter. We prepare the soil, plant the seeds, do our best to control the weeds and it all comes down to timely showers and preferable harvest conditions. And then when it’s all said and done, we hope that someone is willing to buy our commodities and give us a price that will sustain our operations. We have a pretty good office. I believe that a tractor cab or a feed lot or a hayfield or a machinery shed or the front seat of my pickup truck is preferable to an 8 x 10 cubicle. Give me open air and sunshine over an air-conditioned office any day.